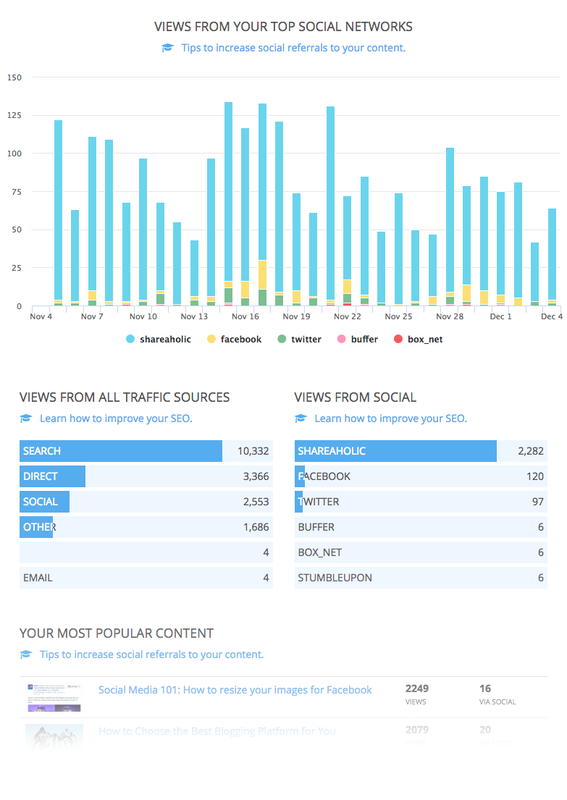 Shareaholic Content Analytics tools are specially designed for content marketers and publishers. Shareaholic automatically harmonizes with the structure and taxonomy of your website to organize analytics by authors, sections, publish dates, and tags. Get a clear view of your content performance to supercharge your strategy and increase the traffic on your site. Unlock Free Content Analytics Now!